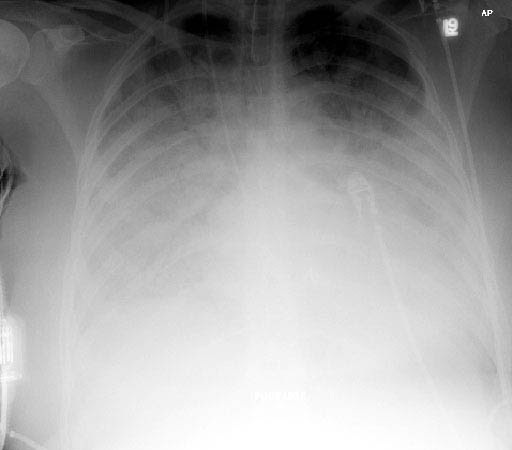 Chest Medicine Made Easy-Dr Deepu: Air Bronchogram Sign. An air bronchogram is a tubular outline of an airway made visible by filling of the surrounding alveoli by fluid or inflammatory exudates. It is almost always caused by a pathologic airspace/alveolar process, in which something other than air fills the alveoli. 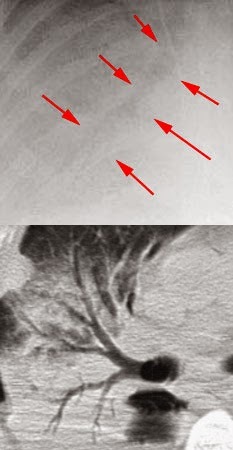 In The Image Air Bronchogram is seen. The phenomenon is Characterised by air-filled bronchi (dark) being made visible by the opacification of surrounding alveoli (grey/white). It is almost always caused by a pathologic airspace/alveolar process, in which something other than air fills the alveoli. Air bronchograms will not be visible if the bronchi themselves are opacified (e.g. by fluid) and thus indicate patent proximal airways. Air bronchograms that persist for weeks despite appropriate antimicrobial therapy should raise the suspicion of a neoplastic process. CT may be planned in such cases.